I’ve been into a bit of Clean Eating for few months now. I guess you guys must have figured it out by now from my Earlier posts on Beauty diet , Healthy Food & Spirullina Review. I have Hopelessly fallen in love with Juicing & Smoothie Lifestyle too. Partly cuz I have very less time for Breakfast and partly cuz I want something filling & healthy for my mornings. I have found solance in making a quick smoothie or Juice to fill my tummy and make me feel happy Inside. Now, I know the hype around Juicing and using Juicing for a fast. Let me get this clear to you- you Include juicing to your diet, not live on it(Unless you really Intend to!). If you’re not choking down on 5lbs. of green veggies at the salad bar each day, you’re not getting the equivalent intake of fruit, spinach, carrot, cucumber, celery and cilantro that you’d get from one glass of green juice. (Take a minute to absorb that.) That’s a lot to eat in one sitting, but pretty easy to sip down. Plus, your body absorbs the nutrients faster from a juice, because your digestive system won’t have to break down as much. Juicing can be fun too. I hate boring food and I’m sure I cant keep doing the same stuff every time. So, I keep experimenting with my Juices/ Smoothies to make them fun as possible. My Partner gives me a big happy nod on this one! (He hates the Green Juices though!). So I thought I will compile some of the awesome pawsome stuff I have been upto lately. Some serious Pictoral representation up on the way! This one is the perfect Green Juice you may want for you breakfast. Add in a hand full of Spinach and Coriander leaves (Cilantro) along with a full cucumber. Flavor with a piece of ginger, half a lemon juice & a spoon-full of honey. This one has my heart all out- craving! Seriously the best one I’ve made. The leaf base here is Beetroot leaves. If you don’t get them, you can use spinach as well. Seriously guys- Experiment!! Blend in a bowl of Black Grapes & Strawberries with a whole apple, cucumber and Carrot. flavor with a dash of lemon juice & honey. Ginger is optional. We call a version of this as Sharjah shake. You should remove the seed in the dates first and blend them well in a Blender. Add in frozen Yogurt or Milk. You can use Soy Milk/ almond milk for a non-dairy version. Crushed Ice can give it the texture. Use honey to sweeten the drink. Ok, this one is out for all who want to lose some pounds. Juicing is the ultimate weight loss tool. Some workout and proper juicing, can get you amazing body, hair & skin. No kidding on this darlings!! 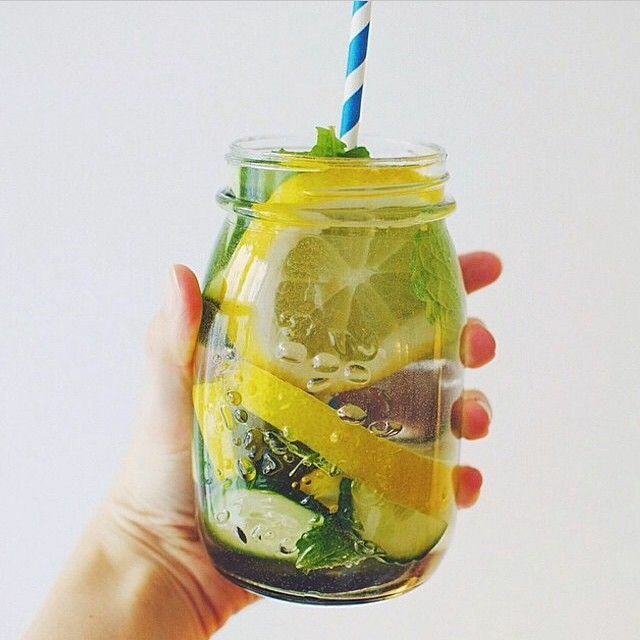 Blend in a full Orange/ Clementine with some room temperature green tea, watermelons, cucumbers & some mint to taste. Honey is Optional. I give it a skip. The results are amazing! On your body and on your taste buds! I usually don’t strain the juice to get my fibers in. You can do it the way you prefer. You can even just juice & strain the orange before adding in the rest. 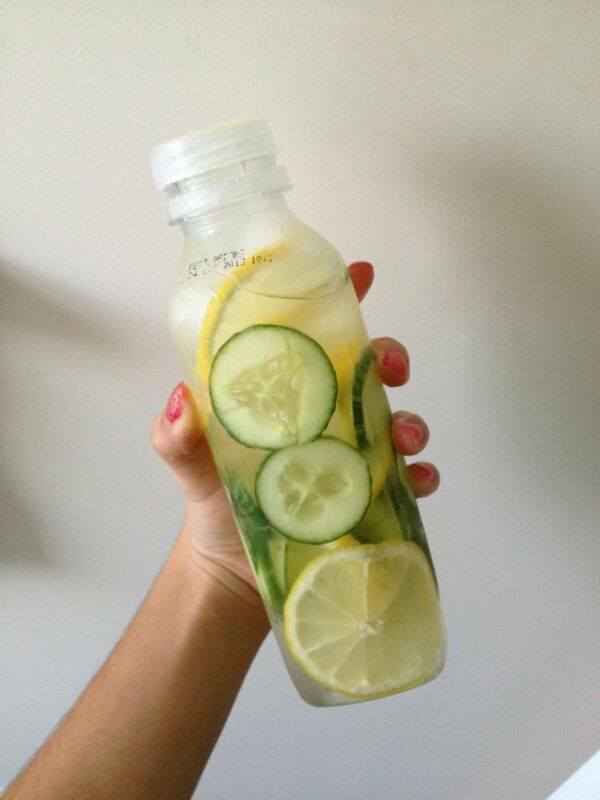 Add in half a lemon, few pieces of cucumber and a few mint leaves to your regular water Bottle. Keep adding cold water and sip the whole day. I find this awesome to do at work. Before you know, you might have had more water than usual, and burned some fat in the Belly area. Go ahead & give it a shot. So, Here the base is Fresh Non-sour Yogurt. throw in some Strawberries & Black grapes. Blend it. Add some Oats & let it sit for 10-15 minutes to soak up. Thank me later! Perfect Breakfast Ready!!! If you have a toddler, give them this on a hot summer day. This one has all the power boosters- antioxidants, fermented probiotics, sweet fruits, water content & greens. Bliss!!! Blend a hand-full spinach leaves with the flesh of a whole ripe mango. Once that is smooth enough, add in a few berries of your choice- I have used mulberry. Add in half a husk melon. I love that the husk melon adds water content and still doesn’t have a flavor that masks the mangoes. Now add in a pot of Probiotic drink available in the market. My probiotic had strawberry flavor in it. You can go for the normal Yakult. It is as yummy!! Hope you guys Enjoyed the lovely Smoothies. Please do try out & let me know. I’m sure you will love all of them. What simple meal/breakfast can I cook in 15 minutes time and which needs very little cooking experience?